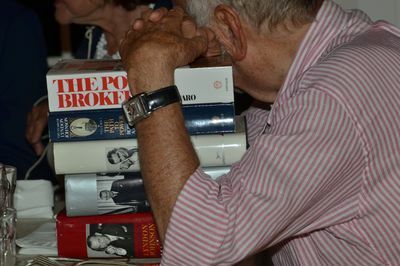 Gathered in one of East Hampton’s oldest timber-framed houses, Robert Caro’s dinner party companions sat around an elegantly set table, hoping to hear what the author, historian and two-time Pulitzer winner makes of the election. The answer took a while. It was Saturday evening, and Donald Trump happened to be holding a campaign fundraiser at the home of New York Jets owner Woody Johnson less than two miles away. 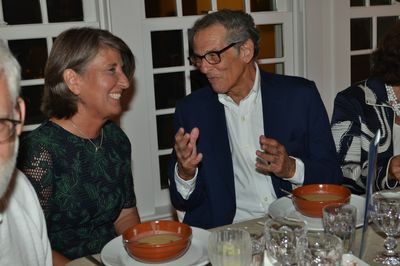 Certainly, Caro wanted to oblige the three dozen people who’d paid generously to sit with him as part of the East Hampton Library’s Authors Night, its biggest annual fundraiser, and one that he’s participated in for 12 years. Yet when the first question came — “what would Johnson think…” — the author who’s working on his fifth and final volume about Lyndon B. Johnson wasn’t immediately willing to guess. “I don’t know,” he demurred. Before he would eventually lay out parallels between LBJ’s rise and the current election — and speculate on what it means for the future for U.S. policy — Caro wanted to step back and discuss where Johnson came from. 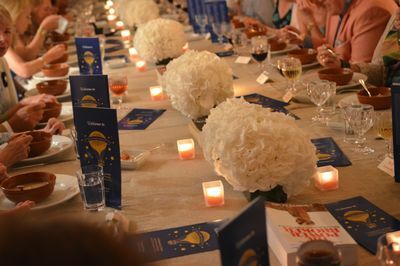 Caro’s dinner was among more than 20 featuring authors. 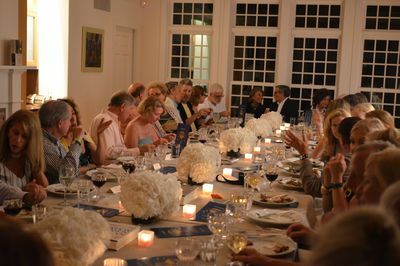 “As long as we’re here in the Hamptons in the lap of luxury, I’m going to tell you about something that’s like the other end of the earth, which is the Texas Hill Country,” he told the table. That’s where LBJ grew up with “incredible poverty” and “incredible loneliness” in a town with a population of about 400. Very few ever moved away, so Caro interviewed Johnson’s first girlfriend and the pharmacist’s son, who told him the future president couldn’t buy gumdrops after school like the other kids who did so on credit, because his father didn’t pay his bills. “In a small town that makes you an object of contempt,” Caro told the dinner party, standing alongside his wife. 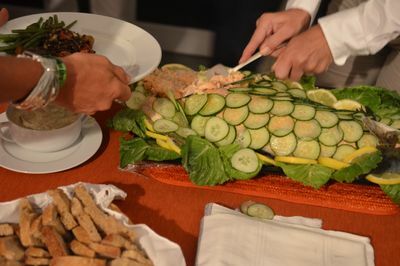 The meal started with fennel soup with lobster and moved on to a buffet of poached salmon and tenderloin. 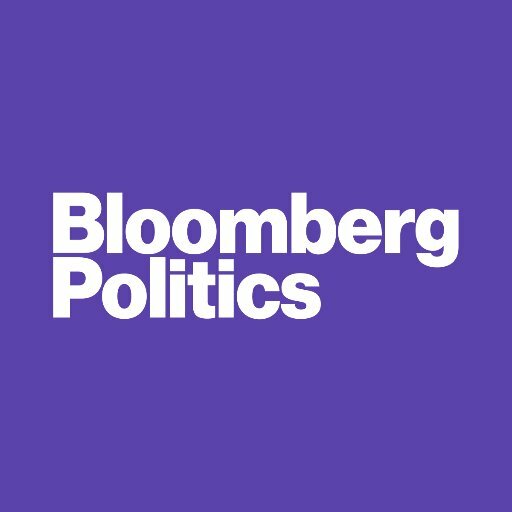 It was hosted by Alex Goren and Brooke Kroeger, whose own book “The Suffragents,” about men who helped win women the right to vote, is due next year. 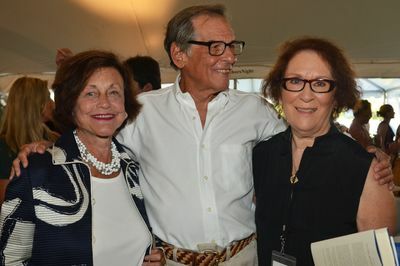 Authors Night raised more than $300,000 for the East Hampton Library. The next morning, Caro recalled the evening from the room where he writes in East Hampton — a bare-bones shack 50 yards behind his house, furnished with a typewriter and a giant corkboard where he posts outlines and notes. The Caros chose the property off a bumpy road about 26 years ago “to be away from the social swirl of the Hamptons,” he said from the shack in a phone interview. And finally, Caro discussed the 2016 race from the historical perspective his guests had craved the night before. “People think everything is unprecedented in America, and in many ways Trump is unprecedented. But in other ways there are some real similarities” between this year’s election and the 1964 race between Johnson and Barry Goldwater. In the ad, a little blond girl pulls petals off a daisy as she counts. A mushroom cloud expands. Johnson’s voice comes on saying that’s what the campaign is about: war or peace, life or death. Another parallel: “Today you have Trump with his rants, his racist, xenophobic superpatriotic rants, against people of different religions or faiths. And in that ’64 election, you had a candidate who had voted against the Civil Rights Act,” Goldwater, and another who had fought to pass it, Johnson. The third parallel is the potential political fallout from the vote. “I may be the only person who sees a ray of hope here, if Trump is destroyed by a large margin,” Caro said. 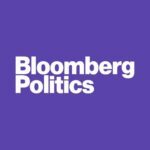 Johnson beat Goldwater with more than 60 percent of the popular vote, a landslide that left Democrats in control of the House and Senate. Alex Goren with his Caro library. “I believe Hillary Clinton will have an agenda for social justice, and if she has huge majorities, we may see huge advances,” Caro said.